A Medical Alert Bracelet That I Actually Like Wearing! I’m not fond of Medical Alert Bracelets. Every time I see one of those small round stainless steel emblems on someone’s wrist, I automatically think of some kind of allergy or sickness that I hope I won’t get. 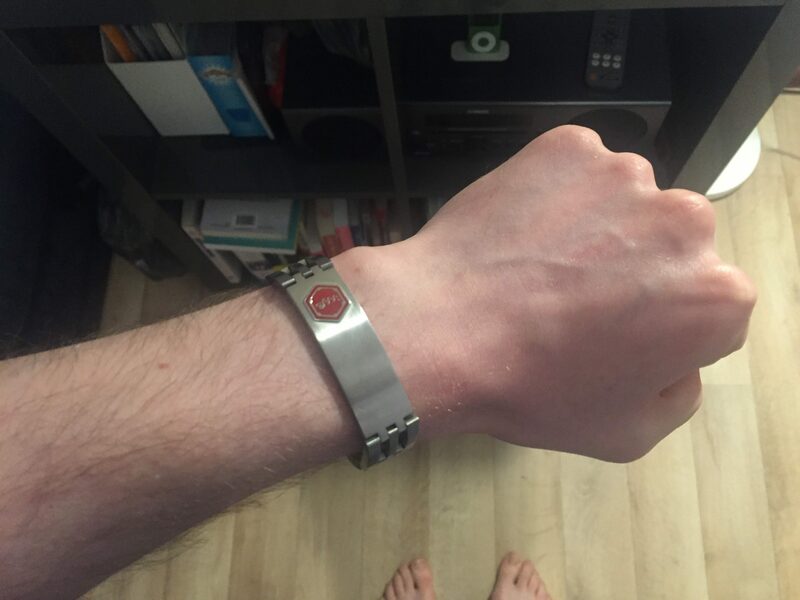 Earlier this year, I made somewhat of a resolution to put more of an effort into wearing my Medical Alert bracelet. I’ve kept it in plain sight atop my chest of drawers, so that I’ll remember to put it on when I go to grab my wallet and keys and watch. I think I’d rate my adherence to this resolution a 4 out of 5. However, I still can’t get super excited about wearing it. Catalogues from Australian Medic Alert arrive in my mailbox every year, showcasing their latest and greatest ranges. But to be honest, nothing really appeals to me. It’s that same round stainless steel emblem, perhaps with a fancier band and a price tag that I know I won’t get my money’s worth from. Last month, I was contacted by Lace from a company called American Medical ID in Texas. American Medical ID have been around since 1994, and their aim is to bring people stylish Medical ID jewellery options that they love and would be proud of wearing. Lace kindly sent me this Lynx Trilogy bracelet, and it is probably the nicest Medical Alert bracelet I have ever worn. 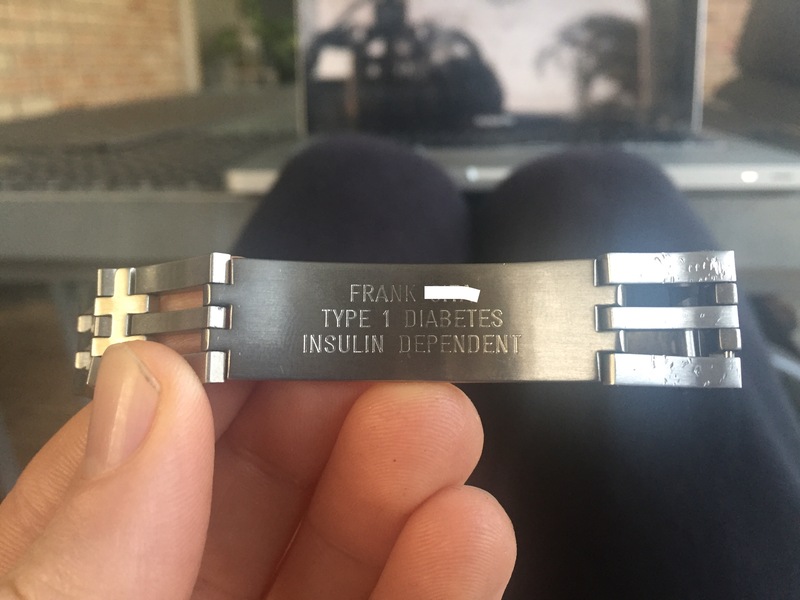 What I love most about American Medical ID is that there is no annual membership tied to the purchase of a Medical ID bracelet (although it is available as an optional add on). I have been extremely frustrated by price hikes from the Australian Medic Alert Foundation, and I am starting to question whether I actually need to be paying $49 a year just to have my identification details stored in a database. I’ve almost always got identification on me when I’m out and about. The most important thing to me is that a Medical ID can identify my medical condition in an emergency. Paramedics here in Australia are trained to look for bracelets, necklaces and even tattoos, so big tick there. This bracelet also has plenty of room for engraving, with four lines of 15-18 characters available on both the front and the back of the bracelet. I’ve simply gone with my name, ‘type 1 diabetes’ and ‘insulin dependent,’ but there was plenty of room to add more. I was also most impressed to see that American Medical ID have an online store for Australian customers, trading as Universal Medical ID, and a dedicated Australian customer service team. After 2 weeks with this bracelet, I absolutely love wearing it. I’m also really happy to find more choice in the Medical ID market here in Australia, because I shouldn’t have to wear or pay for something I’m unhappy with. 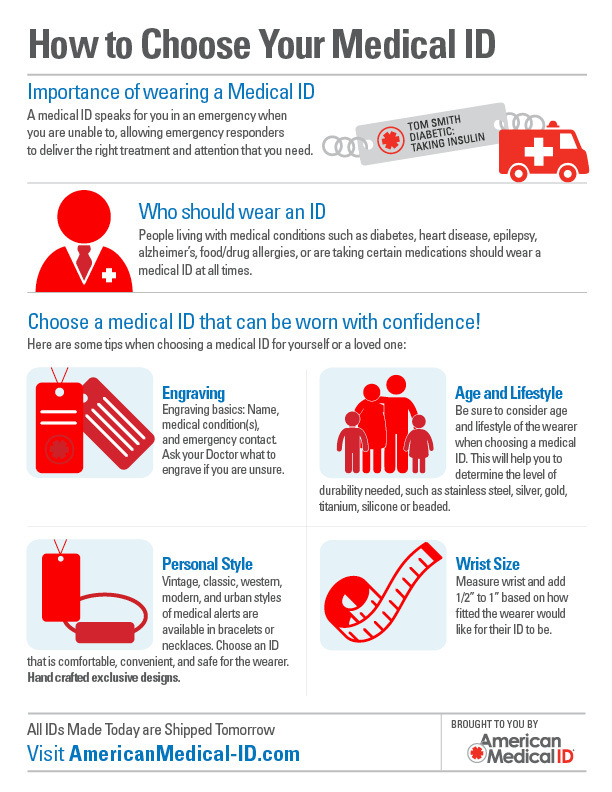 Thinking about a Medical ID for yourself? Lace has provided me with this guide on how to choose your own Medical ID. You can find American Medical ID here, and their Australian contingent, Universal Medical ID, here. Disclosures: American Medical ID sent me a Lynx Trilogy bracelet after reading one of my earlier blog posts on Medical ID. All thoughts and opinions expressed here are my own. Looks like a great bracelet…going to check it out! I went necklace when first diagnosed and I have been since. Should I think of a bracelet? Well, I like my watch, now if they would make a cool watch – medical ID, I would be in.